While we are impatiently awaiting new Nissan battery options for the 2017 LEAF, Nissan's employees have built their own 48 kWh battery in their spare time...and are showing it off first. 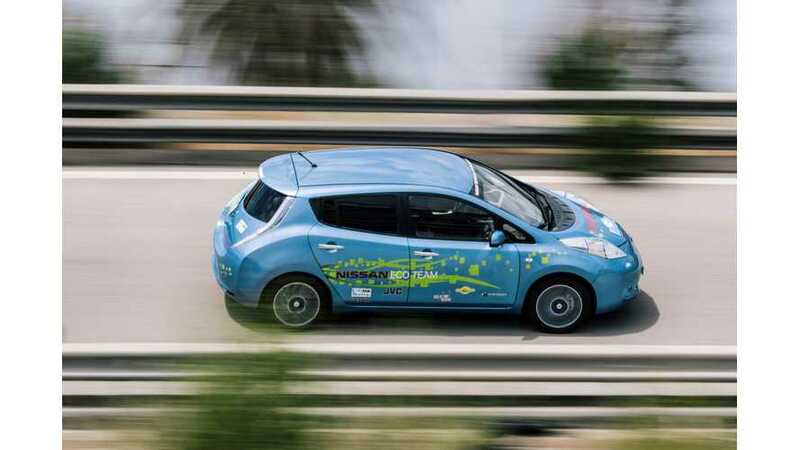 The 48 kWh LEAF is just that - an employees project, and simply doubles the existing 24 kWh pack, taking up additional space in the rear, so no one should confuse this project with anything upcoming from Nissan itself. 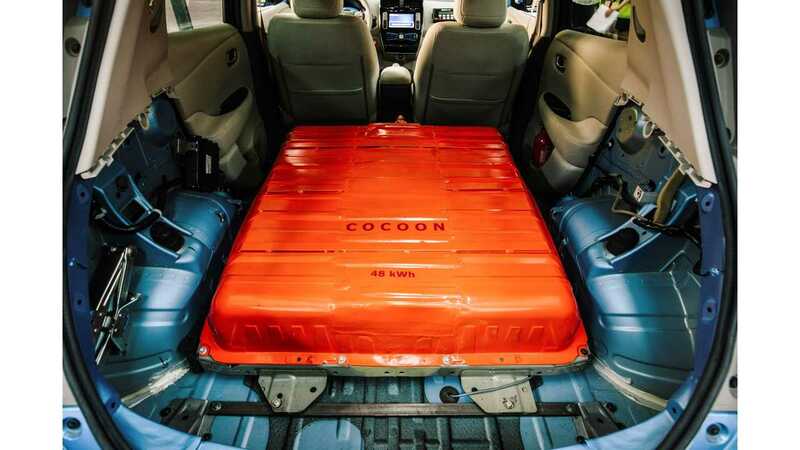 "In a demonstration of their passion for innovation, Nissan engineers have created a prototype Nissan LEAF with a 48 kWh battery – in their spare time. 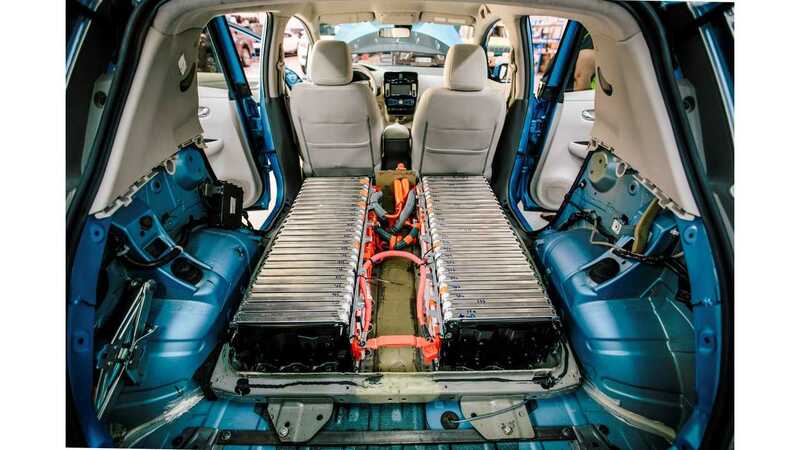 Following the manufacturer’s principles of on-going research and development of electric vehicles, the 48 kWh prototype carries a battery twice the size of the original Nissan LEAF production model, with a 75 percent increase in driving range in everyday conditions. It was created by a group of engineers at Nissan’s Technical Centre in Barcelona (NTCE-S), whose passion and commitment to their work has given rise to the Nissan Innovation team. The team of volunteers take on a range of exciting endeavours, pushing the boundaries of what is possible with electric vehicle technology. The prototype, codenamed “Cocoon” in reference to the American sci-fi film of the same name, was built to compete in the Spanish motorsport event, ECOseries - a new initiative which rewards “efficiency and fuel economy rather than outright speed.”"
"These extra-curricular projects feed in to Nissan’s Intelligent Mobility vision and allow employees to draw on their expertise, skills and experience to experiment with technology, design and engineering. The Intelligent Mobility framework informs all of Nissan’s future products and technologies, with the aim of developing a smart, connected, sustainable zero emission transport network." “It has been a great privilege to work on this project and to see our finished prototype race in the ECOseries. We all have a real passion for what we do and being able to work on prototype projects gives us the creative freedom to be as innovative and forward-thinking as we possibly can.